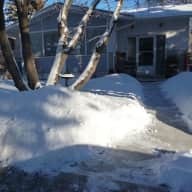 We're a young, mature couple from southern Australia who have relocated to Canada as of October 2018. Tom and I have lived independently as a couple for some time and have extensive experience house-sitting, hence we understand what it takes to look after a house (and pets and/or garden). 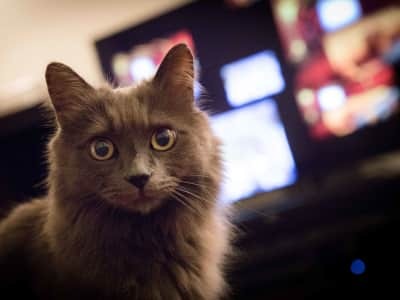 We've both grown up with dogs as well as other pets and would love the chance to look after some while settling into Canadian life! We have loved our experiences house sitting over the last few years. When we decided on a holiday/working holiday in Canada, house sitting seemed like the perfect option for us. We are a caring, gentle couple and have a have both always loved animals of all shapes and sizes. As animal owners ourselves we will miss our furry friends while travelling so we will treat your pet(s) like we would our own and give them the same love, attention and care that you would if you were there. House sitting would be the perfect way for us to travel as we both love the idea of meeting and looking after some pets while seeing new places! Our experience comes primarily through Mindahome, an Australian housesitting website. From this site we've organised many sits for a variety of people (and pets!). On top of this we are the go to sitters when family/friends need their home & animals to be looked after when on holiday. This has given us plenty of experience in taking care of a range of animals (experience with dogs, cats, birds, lizards, fish and more), maintaining gardens and keeping a house clean and tidy. Housesit 1: Our longest house sit with a duration of 2 months in Goolwa, South Australia. Looking after a house + garden and a beautiful German Sheppard named Lexie who LOVES walks. 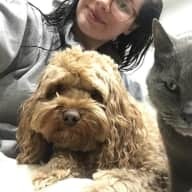 Housesit 2: Caring for an independent cat and a very affectionate Cavapoo (dog), as well as a house and outdoor plants. House 3: Cared for two rescue Jack Russells called Jack and Lucky. They required lots of love and extra patience, eventually becoming comfortable and relaxed around us. We also cared for their frogs and fish. 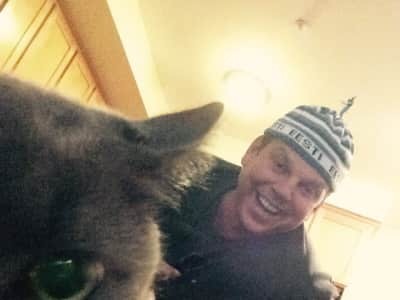 We are currently housesitting in Calgary, Alberta taking care of a rescue cat named Tucker who requires oral medication daily. There will always be room in our hearts for more animals and we guarantee to keep your pals happy and pampered throughout our stay! I can’t recommend Ruby and Tom enough. They are truly brilliant with all animals including frogs! They provided a caring, considerate and compassionate environment for our animals. They are very trustworthy and respectful. Our house was left exactly as we left it and they even sent us photos of our dogs. They walked and loved them as their own, following all instructions. Ruby & Tom, house sat for us for 6weeks while we took an extended vacation. We live on a small acreage in Goolwa, South Australia. They are a confident friendly couple Kept house clean and tidy. We have a medium size dog which they fed and exercised. Neighbors commented that they were friendly, quiet & no trouble at all. Highly recommended. 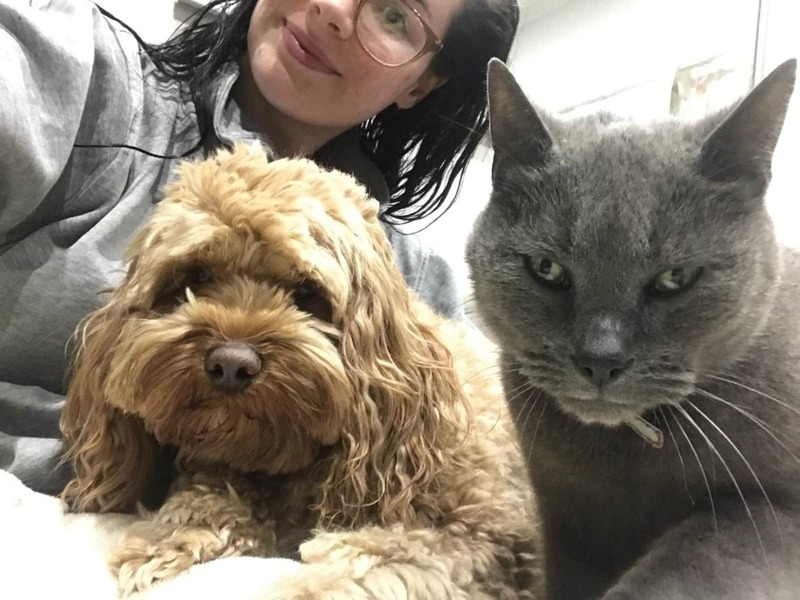 I was quite nervous at the thought of leaving my house and much loved pets (dog and cat) in the Hands of strangers for the first time, but I was totally put at ease when I met Tom and Ruby. Their communication was good and they popped by a week before with their police checks and to meet the fur kids. I could instantly see that my pets would be well looked after. They kept me updated with pictures of the fur kids and left the house clean and tidy. I would recommend Tom and Ruby to anyone looking for reliable house sitters, especially if you have pets.